This is the second post in the series of Microservices based application development. Continuing from my previos post, I'm going to explain in detail, three concepts which are essential ingredients of a Microservices Architecture. In a Microservices environment, we will have multiple services and when the same is deployed in a Cloud Environment, we will have multiple instances of each service. In such a scenario, we need services to be self discover-able. This will help in two ways. First, when one service invokes another service, it needs to know the actual location where it is hosted and which instance it should point to. Second, in a cloud environment, when we add/remove instances, other services need to know about this transparently. Using a centralized Service Discovery will help us solve this problem. Spring Cloud Netflix provides a library called 'Eureka' which will allow services to register to and discover other services. The following annotation needs to be placed in all the microservices which would register into Eureka. (Note that I'm using Spring boot app). The microservice registers into Eureka with a specific name (or serviceId). This could be configured in a file bootstrap.yml. In order to locate the Eureka server, the client needs to know the server details. This could be configured in a file application.yml. This is a Spring boot app with an annotation @EnableEurekaServer. A microservices based application can have multiple clients (for eg, Web, Mobile, Partner integrations etc). Note that each of the individual microservices can evolve on its own and can deploy with different versions for different clients. In such scenarios, it will be necessary to provide a centralized interface which will perform the routing and tranformation services required. An API Gateway does exactly this. Spring cloud Netfix provides a library Zuul which acts as an API gateway. To create an API gateway server, use the annotation @EnableZuulProxy on the spring boot app. Note that this application should also register itself with Eureka, since it has to locate other services which it would forward to. The following configs in application.yml will allow it to register with Eureka and add routing logic for request forwarding. The angular web application will point to the edge server. So all microservice invocations from the angular app goes via edge server. For eg, if the angular web app has to invoke profile-skills service, then it would invoke /<edge-server-host-url>/<something>/skill/<something>/. The edge server would then apply the rule as in the above configuration, and forward it to the "profile-skills" microservice (It would use the host name map obtained from Eureka to resolve the actual host url)). When we have a huge number of microservices (which we will, in a typical complex application), it is necessary for the services to be fault tolerant. 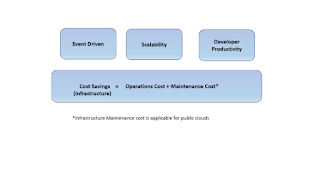 Since it is common for services to fail in a cloud environment using commodity hardware, we need to design our services in a fault tolerant way. Circuit Breaker is a pattern used in Microservices which will work pretty much like a Circuit breaker in electric circuits. When a service fails, it creates an open circuit, breaking the flow and to fix that temporarily, we define an alternative service implementation, which will kick in and close the circuit. In our use case, Profile-Details service invokes Profile-Recommendation service. When Profile-Recommendation service fails, an alternative implementation kicks in which will just return a dummy default recommendation, so that the entire flow is not broken. Once the Profile-Recommendation service is back online, normal services will resume. We use FeignClient (which is a Client side load balancer) along with Hysterix. Now to invoke the Profile-Recommendation service, we need not know the host url of the Profile-Recommendation service service. We just need to know the service name (configured in bootstrap.yml of the Profile-Recommendation service). Since we use Eureka, the service will resolve the host url. Create an interface as below to invoke an API in Profile-Recommendation service. The value of the name attribute is the service name which we are calling. The value of the fallback attribute is an alternative implementation, in case the actual call fails. Invoking another microservice from one is this simple!!! Thats it!! When profile-recommendation service fails, it would invoke the fallback and would return "This is a default recommendation! ".